If you've tried the Mr. Clean Magic Eraser Original, but need a little more cleaning power, this eraser pad is for you. This Extra Power eraser pad is 50% stronger than the Original. 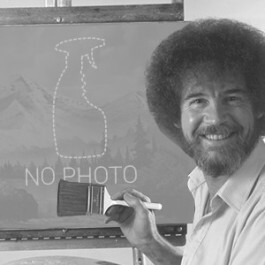 Use it on everything from marker stains to grill cleaning. Just add a little water and the water-activated micro-scrubbers reach into tiny grooves on the surface you're cleaning and power out the dirt and grime. A case contains 30 eraser sponges to keep you supplied for a very long time. If you're looking for a little more economical version on this sponge, please take a look at the Mighty Eraser Sponge, which has a blue scrub strip through the middle of it, and is also available by the case. We carry many other scrubbing pads, both individually and by the case. Please feel free to take a look through all of our handheld & utility strip/scrub pads to find the one most appropriate for your cleaning job. 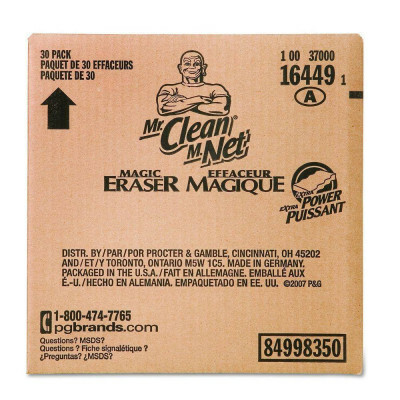 2.4" x 4.6" x 0.70"
Customers who were interested in the Mr. Clean® Magic Eraser Sponge - Case of 30 were also interested in the following items. This is a review for the Mr. Clean® Magic Eraser Sponge - Case of 30.